With interest rates at an all-time low and lenders vying for market share with special offers and discounted fixed rates, now is the perfect time to evaluate your current loan and consider some of the alternatives. With the cost of living rising significantly, it is only natural to seek out ways to reduce your expenses. There are certainly some good deals to be had when it comes to home loans, but is it really worth switching? Refinancing for a better home loan can save you thousands – as long as it is done carefully. 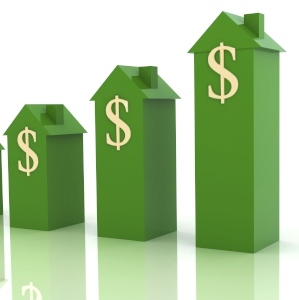 You might consider switching lenders if you are looking for a better interest rate. This may be especially beneficial if you have recently finished a honeymoon period or fixed rate period and the interest rates are now significantly higher. There are also plenty of special offers with fixed rate loans at the moment, so if you are looking for stability and control, you might want to consider a switch from a variable interest rate to a fixed rate. Although it may seem like a good idea to switch lenders and refinance your loan, it is important to remember that there may be costs and penalties involved with breaking a loan agreement early. While it may sound simple to switch lenders, it is important to remember this may mean your property will need to be revalued and depending on the size of the loan, you may even need to take out lender’s mortgage insurance (LMI). There are many benefits from switching lenders; whether you do so or not is ultimately a personal decision and one that should be based on your personal finances and property goals. If you know you aren’t happy with your existing financing arrangements, or you think you could save a significant amount with a new lender, then speak to us. Moreover, if it’s been a while since you assessed your loan, it may well be worth exploring your options anyway.